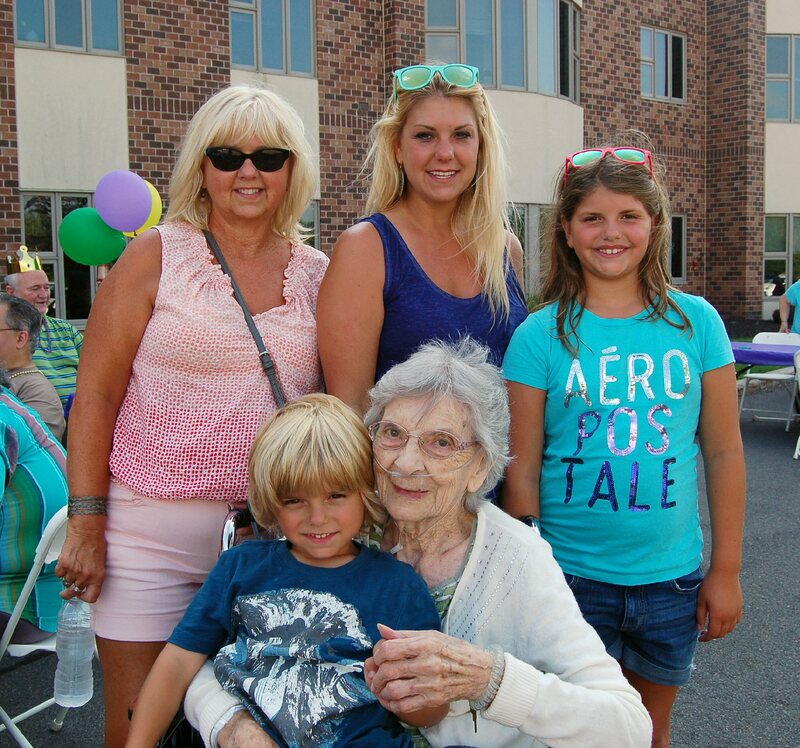 OSWEGO, NY – The Manor’s annual family picnic featured a Mardi Gras theme this year, with the music of Elvis provided later in the evening. Family members of both the residents and rehabilitation patients enjoyed a meal with their loved one and mingling with the staff. In the photo are family members of Edith Clark, which includes four generations. Seated on Clark’s lap is great-grandson, Brodie Maliszewski. Standing from left are Bonnie Clark, daughter; Kelly Maliszewski, granddaughter; and Bella Maliszewski, great-granddaughter. The Manor at Seneca Hill is part of the Oswego Health system. The Manor offers skilled nursing care, complete rehabilitation services including physical, occupational and speech therapies and an Adult Day Health Services Program.